Many people think of traditional metal brackets when they picture braces in their mind. However, these are not the only type of braces available to patients. Lingual braces and ceramic braces also exist, but one of our favorite options is Invisalign treatment. Named for the invisible aligners that help shift your teeth, Invisalign is the perfect treatment option for adults and teens who want to straighten their teeth more discreetly. Find out how these aligners are custom-designed for each patient, what your treatment will look like and how you can benefit from choosing Invisalign! Virtual invisibility because the aligners are transparent. You can remove the aligners whenever you need to, especially for eating, drinking, brushing and flossing. Cleaning the aligners are much easier than cleaning brackets and wires. Less office visits are typically needed for patients. Total time for optimal results is generally shorter than metal braces. Your Invisalign treatment will be much different than traditional metal braces would be. However, Invisalign treatment is much easier than metal braces. Dr. Hardy will take an impression of your teeth using a special 3D imaging machine called an iTero Element Scanner. This will digitally record all the grooves and shapes of your current teeth without any sticky molds. Then, your aligners will be custom-made for you that you will take home with you and switch out every 2-3 weeks. Every person’s gumline is different, so the digital impressions of your teeth is an important part of the Invisalign creation process. Once your aligners are made, we trim them to fit your gum line. A custom-fit means that your aligners will fit so snug against your teeth that they will almost seem invisible. 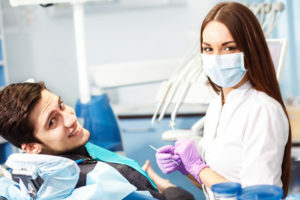 Your treatment plan will be made based off of the current shape of your teeth and if you have any bite and alignment issues. We will be able to tell if any of these issues are present during your consultation. Once your treatment plan is made, you will wear your aligners between 20-22 hours a day for 18-24 months. The treatment time is similar to what metal braces or other orthodontic options would be. On average, our patients need 18-30 aligners for a period of 9-15 months to achieve their desired outcome. Some children will be candidates for Invisalign treatment, whereas others will not be. 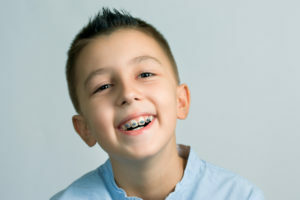 Often, child orthodontics is needed to correct bite and alignment problems that are severe in children. These problems include overbite, underbite, crossbite and other problems with a misaligned bite and jaw. Some problems are severe enough that children will require metal or ceramic braces to fix the problem. 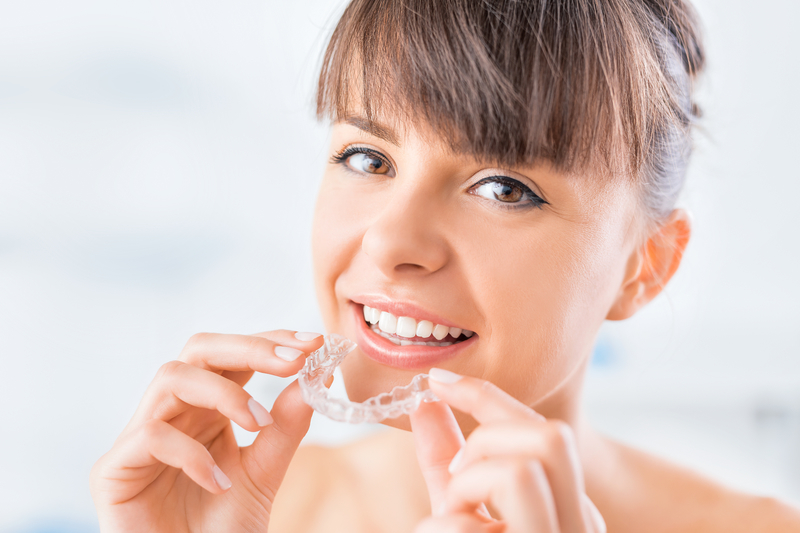 Invisalign treatment can correct some bite and alignment issues, but not if they are severe. A severe problem may make your child unable to use Invisalign aligners until they receive orthodontic treatment for teeth straightening as a teenager. There is also the problem of the aligners being removable. Since they are clear, they are easily lost, which parents don’t want. If your child is fairly young, metal braces might be the smartest choice for them so they don’t lose the aligners. Dr. Hardy can assess your child’s oral health to see if they are candidates for Invisalign treatment or if they need other orthodontic appliances. 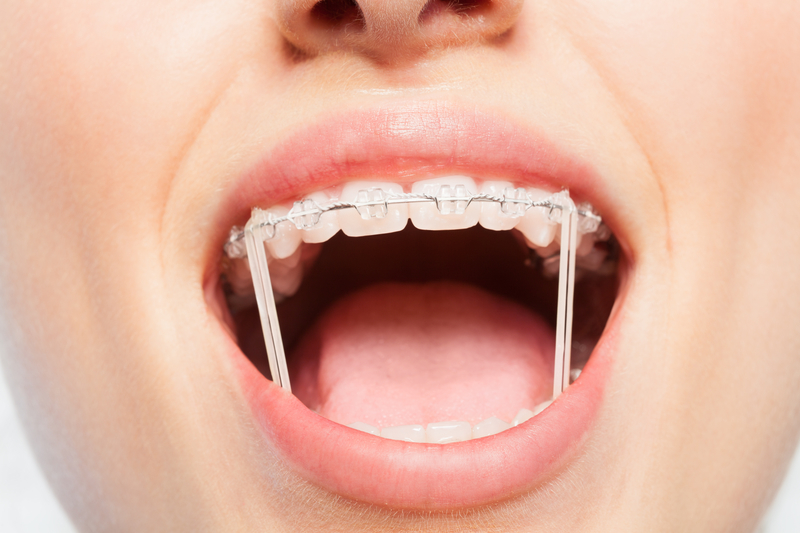 For many teens, they don’t want metal braces that are very visible to everyone. Metal appliances can also make eating, speaking and maintaining clean teeth challenging. Many teenagers are also self-conscious about braces and their appearance, which generally brings less smiles and confidence. The invisibility of Invisalign Teen is why it’s so popular with this age group. Invisalign Teen is simply Invisalign treatment made with teenagers in mind. For teens who play sports, they can remove their aligners in order to wear mouth guards or to play musical instruments. Do you want straighter teeth? Do you want to straighten your teeth without everyone knowing? Would you like to avoid all the work that goes into cleaning brackets with metal braces? Then Invisalign treatment is for you! Invisalign aligners are fit to your mouth, comfortable and transparent. You can remove them as you need to and cleaning is very easy, especially for children and teens. If you want a beautiful smile while you receive orthodontic treatment, ask our office about receiving Invisalign treatment for you and your child. Call Belmar Orthodontics today at (303) 225-9016 for your free consultation! If you have a desire to get braces, we commend you for choosing to have a better smile! Studies show that a better, straighter smile can increase your confidence, success and professional life. However, there are some key ages that having braces are the best for patients. If you have bite and alignment issues, it’s best to receive child orthodontics. For straightening, the teenage years are the best for wearing having braces. However, braces can benefit patients at any age and may even be needed more than once in life. Find out what orthodontic treatment can do for you at any age! The American Association of Orthodontics recommends that children have their first orthodontic visit between the ages of 7 and 8. Having and examination early as a child will detect bite and alignment issues that can become severe later on in life. This early visit is something that you definitely want your child to receive, as bite and alignment issues can lead to problems with speech. If the baby teeth are misaligned, then the adult, permanent teeth will come in misaligned as well. This will eventually lead to cracked, chipped or broken teeth when chewing and biting, as different teeth will take on different amounts of pressure. There are several different types of bite problems children can have. One is crossbite, where one or more teeth are turned either in towards the tongue or out towards the cheek. Overbite is when the upper teeth overlap the lower teeth too much. Underbite is when the lower front teeth overlap the upper front teeth. In a healthy smile, the upper front teeth will rest on top of (and just a tiny bit forward) of the lower front teeth. If your child does have a bite or alignment problem, it’s easiest to fix while they are young, as the jaw is still growing and forming. Between 7 and 8 years old is the best time for having braces as a child to correct this problem. Having braces as a teenager can vary depending on when all the permanent teeth come in. Once the permanent teeth have come in (somewhere around age 12), a child should be seen for a consultation. This is great time to straighten the teeth as the jaw is still growing. However, later in the teenage years and afterwards, the jaw will stop growing and straightening the teeth becomes harder. That is why the teenage years are the best to straighten a child’s teeth. 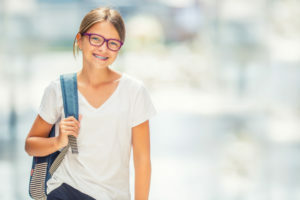 Not only will having braces straighten crooked teeth, but they can also help your child have more confidence because they will produce a beautiful, straight smile after treatment. Straighter teeth are proven to boost confidence in children, teens and adults alike. Adults benefit from receiving braces at any age. Even though the jaw has stopped forming, it’s never too late to get braces (except if you are in later years and losing your teeth). About 25% of people who have braces are adults. Getting a straighter teeth can boost your confidence and social life. Studies show that employers also hire someone with straight teeth over someone with crooked teeth. Other studies show that people find you more attractive, trustworthy, and datable if you have straight teeth. Your options for braces will vary slightly depending on your age. In the past, traditional metal braces were your only option for straightening your teeth. This option is the one that has metal brackets attached to the center part of your teeth with a metal wire that goes through them on top and bottom. Metal braces aren’t your only option for treatment. For children, metal and ceramic braces are the best choices and the most economical. Ceramic braces mimic metal braces and have brackets and wires. However, instead of metal, these appliances are made from ceramic material, which matches the natural whiteness of your teeth. This is why they are sometimes known as “clear braces”. For a more discreet look, lingual braces are also an option for adults. These are metal braces worn on the back of the teeth and custom-fitted to each tooth. However, the most discreet option for having braces is Invisalign. This is a series of transparent aligners that we custom-make for your mouth. You switch out the aligners every week and watch as your smile transforms. The best part about this option is that you can remove the aligners for eating, drinking, brushing your teeth, sports and more. No matter what option you choose, we know you will love the smile you’ll receive by having braces. Braces are not solely for children or teenagers, but also for adults. It doesn’t matter if you are 7 or 57; braces are great for patients at any age! Having braces will significantly reduce your risk for tooth decay and gum disease as well as broken, cracked or chipped teeth. They can get you ahead in life by helping you feel and appear more confident and successful. To answer the question about the best ages for braces, we say the best time is now! To learn more about what to expect with braces, call Belmar Orthodontics today at (303) 225-9016! How Important Is it to Wear Your Orthodontic Rubber Bands? Wearing rubber bands is a critical part of your orthodontic treatment. We ask you to wear them 24 hours a day because they are that critical to the process of straightening your teeth. Knowing why your orthodontic rubber bands are important will help you wear them more. Consider the following reasons you need to wear your bands the next time you are tempted to put them aside. 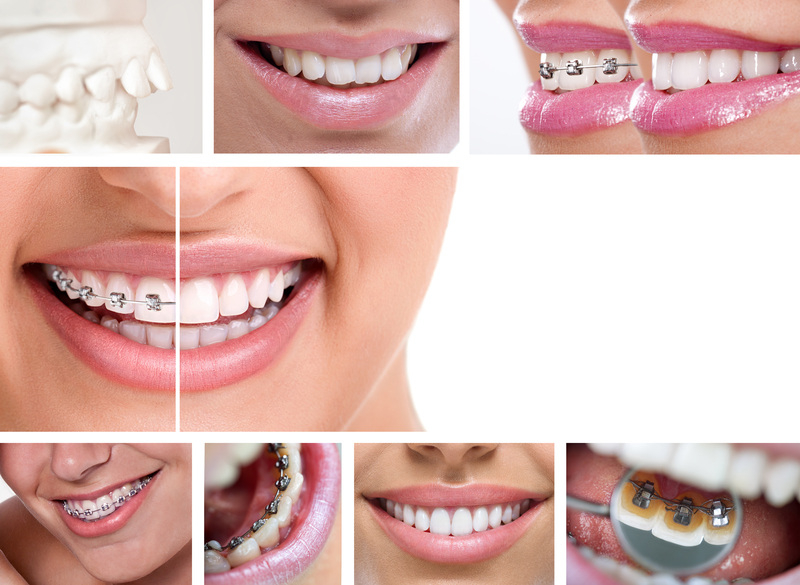 We offer several different types of braces at our office. 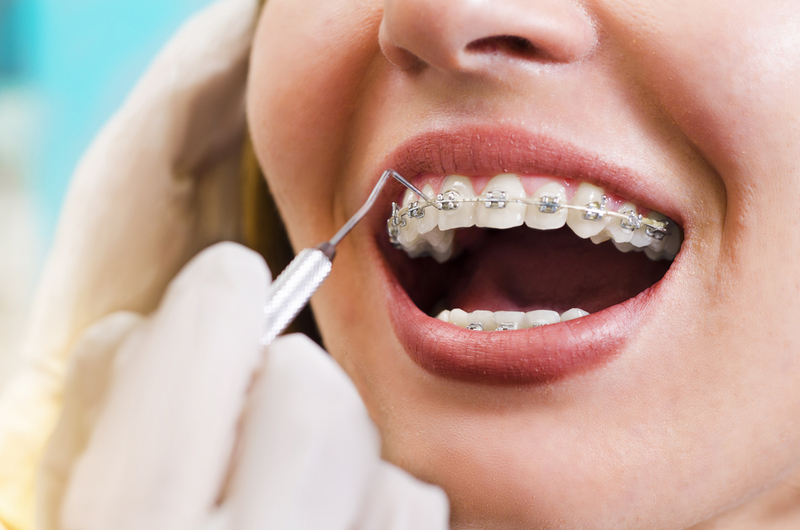 Patients wear orthodontic rubber bands when they have traditional metal braces and ceramic braces. When you think of braces, you probably think of metal braces. These are the ones with square brackets on the front of each tooth and a wire that goes through the brackets on top and bottom. Metal braces are the most economical choice when choosing orthodontic care. A close cousin to metal braces are clear, ceramic braces. These braces look and act like metal braces, except they are white. They have a white color to them because they are made out of ceramic material, which blends into the natural whiteness of your teeth. This is why they are known as “clear braces”. Ceramic material helps decrease demineralization that can happen when patients wear braces and don’t practice good oral hygiene habits. Both types of braces (metal and ceramic) use orthodontic rubber bands at times to move the teeth in a particular direction. Each part of your braces is important when it comes to straightening your teeth in the best way possible in the quickest way possible. Your treatment would be lacking if you were missing any part of your braces, including orthodontic rubber bands. Bands – A band is a thin ring fitted to a back molar and cemented to the molar. This is usually made of stainless steel and secures other orthodontic attachments such as hooks, brackets or tubes. Brackets – A bracket can be bonded to the tooth with cement or it can be attached to a band. Brackets are usually made of stainless steel or clear ceramic material. They guide and support the archwire into its proper placement. Archwire – The archwire guides the shifting of the teeth during orthodontic treatment. Orthodontic attachments (such as the brackets) hold these wires and are made from stainless steel. Some archwires are made of titanium instead of stainless steel. Elastic Ties – Available in a variety of colors, elastic ties are small rubber bands that go over the brackets in order to hold the archwire in place. Springs – We open or close a space between teeth using the force of a small spring. These springs go between brackets and around the archwire, and are made of stainless steel or titanium. There are several different types of bands for braces. There are orthodontic rubber bands and there are ligatures. Ligatures are the small rubber bands that wrap around the brackets and hold the archwire in place. You will see these bands on children in a variety of colors. We switch out ligatures at every orthodontic appointment and children can mix and match the colors. They go around the brackets and protect the teeth and gums from sharp metal points and are changed when the wire is tightened or the braces are adjusted. These orthodontic rubber bands (the ligatures) are very small, as the brackets are small. The other type of orthodontic rubber bands adjust your bite and jaw position. These will be slightly bigger orthodontic rubber bands. On your brackets, you have small hooks where these rubber bands attach. Often, you will loop a rubber band around a hook on a bracket on the lower jaw and hook it around another bracket on the upper jaw. Some patients will need several orthodontic rubber bands at a time and others will only need one. These rubber bands will adjust the position of the jaw quicker between visits. You will commonly see orthodontic rubber bands with child orthodontics. 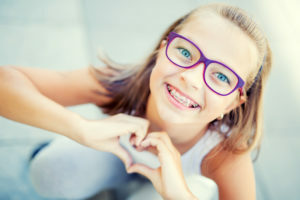 This is orthodontics for children under the age of 10 that need braces to correct bite and alignment issues. Orthodontic rubber bands are critical for making those changes possible. Your child should first see the orthodontist around age 7 or 8. This is a time where we can check that the bite lines up properly and that the adult teeth will come in correctly. If there is a bite or alignment problem, we give your child metal or clear braces to correct that problem. 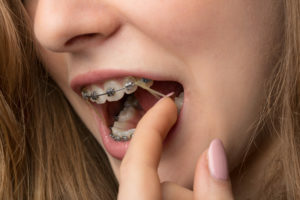 Your child will use orthodontic rubber bands throughout their treatment to provide sufficient force to bring the bite into a straight position. Although small, orthodontic rubber bands are critical for moving the teeth. With orthodontic care, the teeth shift slowly over time. 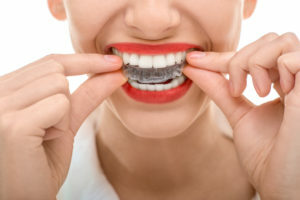 If you skip wearing these bands, your time with braces will be longer and you won’t be correcting bite and alignment problems. This is why we ask our patients to wear their orthodontic rubber bands 24 hours a day. Each part of your braces is important for creating that beautiful, straight smile you’ve always wanted. To learn more about orthodontic rubber bands or other parts of your braces, call Belmar Orthodontics today at (303) 225-9016! One of the most common questions orthodontists receive is “will it hurt?” The answer to this question varies between patients because every mouth is different, and everyone has different perceptions of pain or discomfort. Yes, braces make the teeth and tissues sore. The good news is that orthodontic patients respond well to simple pain management strategies. The discomfort associated with orthodontics is also not felt throughout the duration of treatment. Temporary discomfort occurs when braces are tightened, or when teeth undergo an increase in pressure to shift them into a new position. Learn more about pain management when you have occasional braces discomfort and how to make your experience more comfortable. As you become accustomed to your new braces, your teeth will likely be tender and you may experience a dull ache for the first 2-4 days. Remember, you just had brackets cemented to each tooth, which is bound to cause discomfort. The reason for this discomfort isn’t completely understood. However, research has shown that when pressure is applied to the teeth, it changes your blood flow. You body also secretes certain proteins such as “substance p” and “prostaglandins”. This applied pressure of the brackets and archwire basically triggers the body’s inflammatory response—the same response you feel when you’ve injured a part of your body. We recommend that our patients eat soft foods during this initial adjustment period. Often, patients need pain management methods after each time your braces are tightened as well. If needed, you can use an over-the-counter pain reliever such as Tylenol. Some of our patients also find a warm saltwater rinse helpful for pain management. Accessory appliances such as rubber bands, springs or headgear also cause teeth to become sore in some patients. When wearing these appliances as prescribed, your sensitivity will typically go away in 2-4 days or even sooner. Does Your Braces Type Matter? There are several different types of braces you can receive to straighten your teeth. All of the orthodontic treatment methods we have will most likely make your teeth a little bit sore. This is because your teeth are moving into a straighter position. In order for them to move, there will be discomfort, and that discomfort will be similar with the different braces options you choose. The braces options we offer for your orthodontic treatment include: traditional metal braces, lingual braces, ceramic braces and Invisalign. We wish that we could say you will never have discomfort with your braces. However, you are moving the position of your teeth, which has been permanent up until the point where you chose to receive orthodontic treatment. Moving something permanent is bound to cause a little bit of discomfort, however, that discomfort generally last less than a day. Some patients don’t feel discomfort at all or don’t with every braces adjustment. Metal Braces – Metal braces are the most common type of braces. They are made out of metal brackets attached to the center of each tooth. A metal archwire connects these brackets that are cemented to the teeth. When you come in for your braces adjustment, we will tighten your wires. Your teeth shift constantly and the wires need to be adjusted accordingly. We will adjust your wires each time you come in. The adjustment is slight, but may cause you discomfort. This generally lasts for only the first 24 hours (if at all). We often use rubber bands to bring crooked teeth into place. You may feel discomfort with these rubber bands as well, but only for a similar short time period. Ceramic Braces – These braces are very similar to traditional metal braces, except that the materials are made out of ceramic. This helps decrease demineralization that generally happens to the teeth with metal braces. The structure of this type of orthodontic treatment is very similar, so patients can expect about the same level of discomfort (if any) as they would with metal braces. Pain management strategies are the same for these types of braces as well as for lingual braces. Lingual Braces – These are metal braces attached to the back of each tooth. Traditional metal braces are attached to the front of the tooth, and lingual braces are attached to the back. This will create a slightly different experience when the wires are adjusted at an orthodontic visit. A patient may feel that their teeth are more sore on the back than the front. This is because the metal is bonded to the back of the teeth instead of the front. However, discomfort is minimal and will go away quickly. Invisalign – Invisalign is a series of transparent aligners that work to shift your teeth into place. Even though they don’t involve brackets, they are a type of retainer that shifts your teeth. You replace these aligners every 1-2 weeks, so you can expect some discomfort every time you change your aligners. However, if you replace your aligner at night, you can sleep through most of the adjustment period where patients typically experience discomfort. Pain management is easy when it comes to braces. Millions of people receive braces each year and millions deal with slight discomfort, if any. It’s typical to be slightly sore after receiving braces or an adjustment. However, if you have a braces emergency, come into our office immediately. An emergency consists of: lip and cheek sores, loose bands and brackets, pokey archwires, loose or missing elastic tie, or accidents that caused trauma to your mouth. Many patients find that having their braces is a breeze, and the beautiful smile they receive at the end is quite worth the time it takes with braces. If you have more questions about pain management with your braces, call Belmar Orthodontics today at (303) 225-9016! Orthodontic options for the world at large are diverse and exciting. Patients can choose from retainers to clear aligners to invisible, metal, ceramic and micro braces. Each orthodontic option has their advantages and disadvantages. Orthodontists have the specialized knowledge to council you on all your orthodontic options. Their recommendations are based on variables like your age, possible jaw imbalances, differences in the size of your teeth, your personal preferences and more. Orthodontists are trained to know what to use and when to use it, and will work with you to make the best decision. Many people know that it’s important to have a dentist. However, it’s also very important that you have an orthodontist as well. You can brush and floss your teeth several times a day, but still remain at risk for tooth decay. Teeth that are crooked are teeth that can trap food particles much easier than straight teeth. They are also harder to clean, meaning that that food can stay trapped and lead to tooth decay. If you invest in one of our many orthodontic options, we can straighten your teeth and reduce your risk for decay. Straightening your teeth can also lead to higher self-esteem and confidence, as has been proven in many studies. Even children benefit from more confidence around peers and friends when they have straight teeth. At Belmar Orthodontics, we see children starting at age 7 and up through adulthood. We provide our patients many orthodontic options so that they can choose how they want to straighten their teeth and how they want to look while doing so. Our orthodontic options include traditional metal braces, ceramic braces, lingual braces and Invisalign treatment. When you think of braces, you probably think of traditional metal braces. These are our most popular orthodontic options available to patients, and the option chosen most often. These braces consist of a metal bracket that is attached to the center of each tooth that holds a metal archwire in place. Metal braces have proven themselves as one of the best ways to straighten your teeth, and are the most economic options our patients have. It is also the option used to correct bite and alignment problems, especially in children. They are the same size and shape as metal braces and work the same way. However, ceramic braces are made out of ceramic material. Ceramic material is naturally white and will blend in with the color of your teeth. This makes them very hard to notice as compared to traditional metal braces. Another benefit of ceramic braces is that the ceramic material decreases your chances of demineralization, which can happen to some patients who wear metal braces. 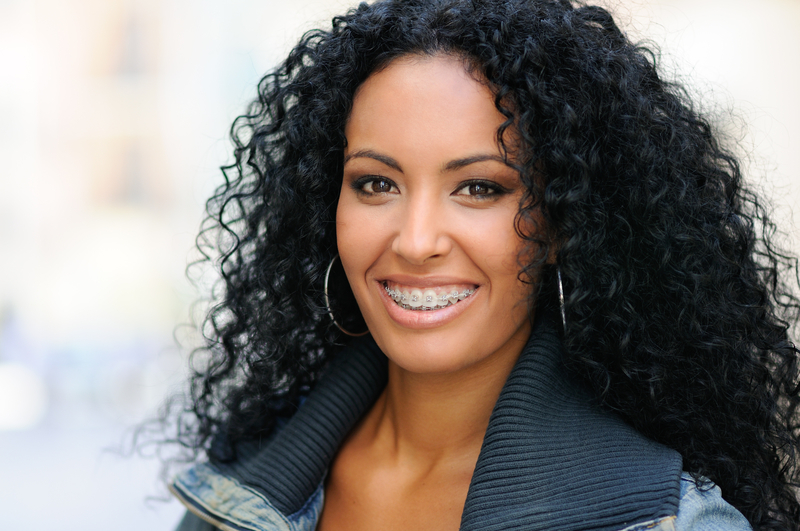 Patients of all ages can wear metal braces. Kids love our ceramic clear braces and the ability to dress them up with colorful, bright bands of their choosing. Adults love them because they stay more hidden than traditional metal braces do. However, if you are looking for the sturdiness of brackets but don’t want them to be noticeable, consider investing your time in lingual braces. You may know these braces by the names “nano braces” or “micro braces”. These are simply other names to describe these “incognito” braces. They are metal braces just like you would find traditionally worn by millions. However, the metal is permanently attached to the back of the teeth with dental cement along with the archwire. These braces are invisible when you smile, allowing you to share your beautiful smile with confidence during your treatment. They work similarly to Invisalign transparent aligners. However, you won’t have aligners that you are always removing. Lingual braces are not right for every patient. Patients who have a deep vertical overbite won’t be able to fit these braces behind their teeth. Adults who have normal-sized teeth are the best candidates. 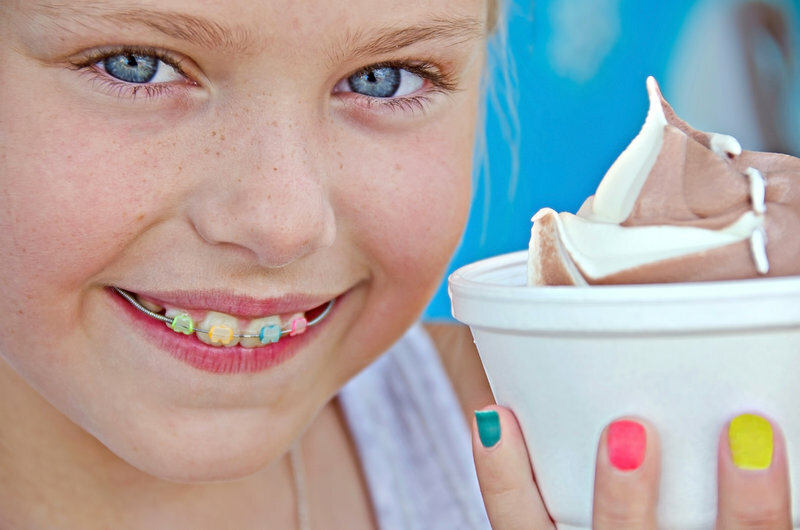 It’s that teeth size that makes it one of our orthodontic options not available to children. Many adults and teenagers are self-conscious about their appearance, especially when it comes to their smiles. Many view braces as something that children receive, not adults. However, you may be surprised to find that about 25% of people wearing braces are adults and only about 25% of braces wearers are actually children. That means that the majority of braces wearers are teens and adults. We know that adults need to look professional and exude confidence so that they can excel socially, professionally and emotionally. Luckily, we live in a day and age where you can straighten your teeth without others ever knowing. One of the most inconspicuous ways you can straighten your teeth is through Invisalign treatment. This is a series of transparent aligners custom-made for you. You will switch out these aligners for new ones every 1-2 weeks so that your teeth slowly move into place. Invisalign treatment is the best out of all your orthodontic options that allows you the most freedom with your oral health. You can remove the aligners for eating, drinking, playing sports and for cleaning your teeth as you normally do. This option is not always available for children, but is available for teenagers and adults who are less likely to lose them. Orthodontics is a major investment in your oral health and in your life. Having a straighter smile can give you confidence and self esteem you didn’t previously have. Studies show that a better smile can help land you a job easier than those who have crooked teeth. As one of the most-noticed physical features you have, you want to invest your time in straightening your teeth. To find out more about our orthodontic options, call Belmar Orthodontics today at (303) 225-9016 and straighten your teeth today! With advances in orthodontics in recent years, more and more adults are seeking out treatment for oral conditions they’ve lived with since childhood. Adults now comprise 50% of orthodontic patients—a major jump from previous decades. However, a beautiful smile knows no age limit. Today’s orthodontic patient has options for braces that they never had before. 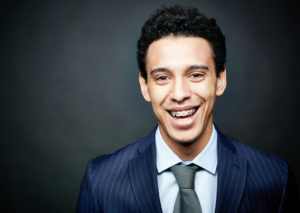 Learn your options for orthodontics as an adult and why you shouldn’t put off treatment just because you are an adult. Most people know that braces are for straightening your smile into something beautiful. Not everyone knows that braces can help improve your oral health significantly. If your teeth are crooked, they become much harder to brush, as teeth are at angles that make it difficult to reach every surface of your tooth. Flossing is even harder with crooked teeth. If you don’t properly clean away plaque that coats your tooth enamel, then you will most likely find yourself with some form of tooth decay or signs of gum disease. Cleaning your teeth also becomes a daily struggle, as you must clear away plaque every single day to avoid oral health issues. Teeth that are straighter are much easier to clean and they take less time. The American Dental Association recommends brushing your teeth at least twice a day to remove plaque that erodes away your tooth enamel. Patients should also floss at least once a day. Those tasks are very easy to do when your teeth are straight and you can clean them in just a minute or two. Orthodontics is also great because an orthodontist has been to dental school and can direct you to a dentist if they notice oral health issues forming. Having proper bite and alignment is critical for speech. We treat children often for bite and alignment issues, as these are easily correctable when a person is young and the jaw is still forming. For child orthodontics, we take special care to ensure that the upper and lower jaws line up with one another properly. An incorrect alignment can put you at risk for broken teeth later on in life and can affect your ability to speak, eat, bite and chew correctly. 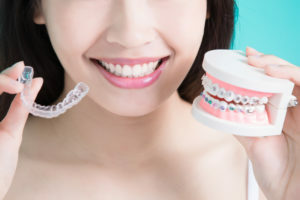 Although it is more difficult to do as an adult, we can perform orthodontic treatments that can correct bite and alignment issues. If you have had a speech impediment all your life due to bite or alignment issues, you can finally find a remedy through orthodontic straightening! For severe cases of bite and alignment issues as an adult, surgical orthodontics may be the best way to transform your smile. There are around 4.5 million Americans that receive orthodontic treatment via braces each year. 25% of those patients are adults. In fact, each year more and more adults find themselves with adult braces. Not only can orthodontic treatment help your oral health, but it can also help get you ahead professionally. Studies show that those who receive orthodontic treatment appear more confident, successful, trustworthy and attractive to their peers. People with straighter teeth are considered happier and healthier. They are also 38% more likely to be perceived as smart. Your teeth are one of the first facial features others notice. Make an impression that will wow others by straightening your teeth! Adults get the best deal when it comes to orthodontics: they have every option available to them! Children and teenagers are limited in their orthodontic options, but adults can choose what orthodontic treatment they want. You can choose traditional metal braces to straighten your teeth, ceramic braces, lingual braces or Invisalign treatment. Ceramic braces are similar to traditional metal braces, except that they are made from naturally-white ceramic material. Even the archwire can be made white like the brackets to blend in with the whiteness of your teeth. Lingual braces are one of our most popular adult braces options. These are essential metal braces that are custom-made to fit the back of each of your teeth. We take impressions of your teeth and create a metal shell for your tooth-back complete with brackets and an archwire. Others won’t realize you have adult braces because this hidden apparatus lies on the tongue-side of your teeth. For an even more discrete straightening option (which is a favorite among adults), you can invest your time in Invisalign. 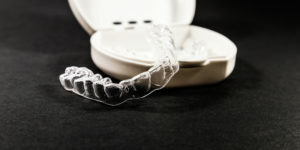 This is a series of transparent aligners that we custom-make for your teeth. Using digital technology, we can map out the trajectory of your teeth as they straighten and make aligners you can wear and switch out every 1-2 weeks. Adults love this option because they have the freedom to remove the aligners as they please. You can remove them for eating, sports activities, and cleaning your teeth as you normally do. This is an option that provides amazing freedom while undergoing adult braces treatment. Receive Your Adult Braces today! There are many benefits for receiving adult braces. You can improve your oral health and decrease your risk for tooth decay and gum disease. You can boost your confidence, correct bite and alignment, and exude success with a straighter smile. If you would love to have the benefits associated with adult braces, call Belmar Orthodontics today at (303) 225-9016 and we’ll find a treatment plan that’s right for you! Cleaning the teeth can be hard at times. Cleaning braces on the teeth can be even harder because of all the appliances attached to the enamel. Proper care must be taken with brackets and wires to ensure that all food is removed from the teeth. Brushing and flossing in general helps decrease your likelihood for tooth decay, gum disease, and other oral health issues. Brushing and flossing is different for a smile with braces. There are more guidelines for proper oral hygiene with orthodontic care. Thankfully, there are also products out there (such as flossers) that help make cleaning braces and your teeth easier. Find out how to properly care for your braces and what products can help make cleaning braces easier! Millions of adults will receive braces each year. In fact, there are about 4.5 million people wearing braces annually. In the past, those braces used to all be the traditional style of metal brackets. However, modern technology now affords patients the options of lingual braces, clear ceramic braces, and Invisalign as well. Lingual Braces – Many patients want the strength of metal brackets without the braces being so noticeable. Lingual braces are perfect for these patients, as the metal apparatus is attached to the inside of your teeth instead of the outside. You can straighten your teeth without anyone knowing! Clear Ceramic Braces – There are other patients that love metal brackets but don’t want the metal to overwhelm their face. Clear ceramic braces are a great option for those who still want brackets, but want them to blend in more with the teeth. Made from ceramic material, these brackets are very durable, naturally help combat demineralization, and are white just like your teeth. Invisalign – For a truly invisible straightening system, Invisalign can align your pearly whites discreetly and comfortably. This is a series of removable transparent aligners that you change out every 1-2 weeks. You can take out the aligners for regular brushing and oral care, sports, eating, and more. 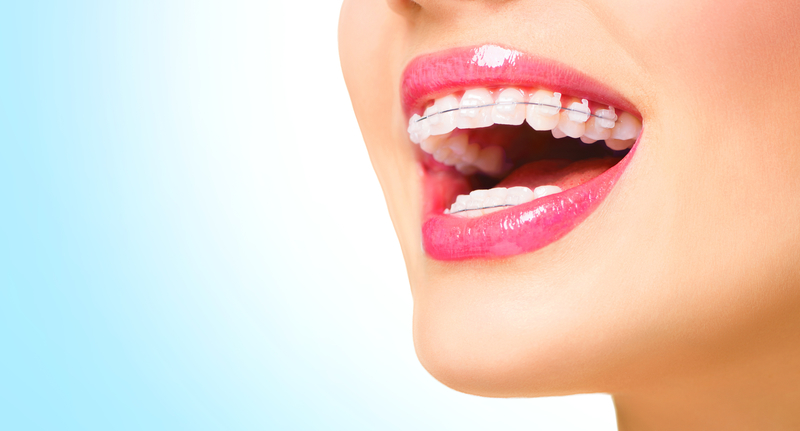 It’s vitally important that you take extra good care of your teeth with braces. This is a time when tooth decay can occur in many parts of your mouth. Brackets and wires in your mouth make it easier for food particles to get stuck, leading to other dental issues if proper care is not taken. With braces, we suggest brushing your teeth after every single meal instead of just twice a day. You can use a regular toothbrush, but make sure it is one that you will actually want to use. The toothbrush should have soft bristles so it’s easier on your tooth enamel and the head should fit comfortably in your mouth. Brushing after each meal can help prevent staining and bacteria buildup. When brushing, brush down from the top, then up from the bottom on each tooth with a bracket. After brushing with your toothbrush, you can get an extra clean by using a proxabrush. This is a special oral health brush that looks very similar to a Christmas tree. It is actually sometimes referred to as a “Christmas tree brush”. You use this small brush by placing it between two brackets below the archwire. Then you brush up and down to dislodge any food you may have missed with brushing or that you didn’t even realize was there. After several strokes, repeat this motion by inserting the brush from the opposite side. For those who want an extra clean, you can use an oral irrigator to blast away food. Many patients have problems flossing the teeth. The main problem is that flossing takes time, and many people either don’t have the time to floss properly, or don’t want to take the time to do it. How well you floss can make quite the difference on what happens to your teeth during your time with braces. Food can easily become stuck in brackets, but we know that food definitely gets stuck between the teeth. This happens even without braces! You may be a pro at cleaning braces, but you also have to be a pro at flossing your teeth with them as well. How do you do this with that pesky archwire that’s in the way? There are products just for this problem. Use a threadable floss or a floss threader to get the job done. A floss threader is a tool you can use to pull your regular floss through each space between the teeth. Think of a floss threader as a large sewing needle of sorts. You place your floss through the threader. Then, just as a person does with sewing, you will thread the floss threader through each space between the teeth. There is also special floss that has a hard end that is about 2-3 inches in length. Each floss piece can be threaded with the harder end without an additional threader. Every time you floss, make sure to move it back and forth in each space between the teeth, taking care not to apply force or pressure against the archwire. You are going to be wearing your braces for 18-24 months, so you’ll have to become comfortable cleaning them efficiently if you want a great smile in the end! 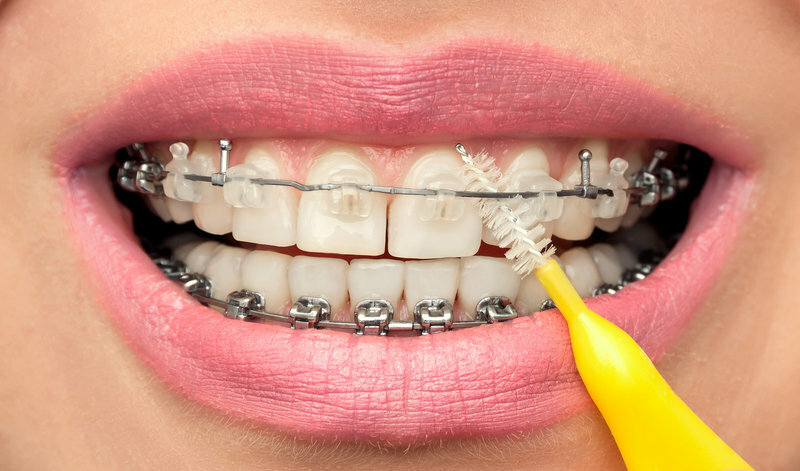 Cleaning braces will become second nature to you if you do it often enough. Cleaning braces will help your smile be more beautiful at the end of treatment and will help avoid tooth decay, enamel erosion, demineralization, stains and more. You only get one smile in this life, so treat it right! Many patients benefit from learning more about how to clean their braces and tips and tricks to doing it right and quicker. If you want to learn more about cleaning and caring for your braces, call Belmar Orthodontics today at (303) 225-9016! How Do Adult and Child Orthodontics Differ? Advancements in adult and child orthodontics have triggered a rise in adults seeking treatment for oral challenges they have had for years. When deciding to pursue orthodontic treatment, understanding the differences between adult and child orthodontics can help you decide what type of treatment is right for you. Everyone should want their best smile. Feeling confident about your teeth and smile is essential for healthy self-esteem and confidence. You can achieve both of those benefits with braces. For years, braces have helped millions of people receive a more beautiful smile. About 4 million Americans on average each year are wearing braces. You may think that braces are mostly for teenagers, but you may be surprised to know that about 25% of braces wearers are actually adults. A large portion of those 4 million are also children. Braces benefit people of all ages and it’s never too late to get your own set. Why are braces so important? Straighter teeth keep the mouth in proper alignment and help even out the pressure placed on the jaw each time you talk, bite, eat and more. When the teeth are straighter, they are easier to clean, especially to floss in between the teeth. This is why people with straighter teeth have a reduced risk for oral health problems such as tooth decay and gum disease. The biggest oral health problems are tooth decay and gum disease. These problems come from lack of good oral hygiene habits. If you skip on brushing and flossing the teeth (or not doing them enough) you may start to have problems. When food sits on the teeth, the sugars from the food you ate (or drank) mix with bacteria in the mouth. This mixture creates a sticky acidic substance called plaque. That plaque works hard to erode your tooth enamel. If it sits on the teeth long enough without being cleaned through brushing or flossing, it will seep into the center of your tooth, called the pulp. This is where that acidic plaque will start to decay your tooth. If left untreated, the problem can become severe. Tooth decay is the most wide-spread childhood disease. Gum disease is similar to tooth decay, but it has to do with the gums. Plaque is not your friend in this case either. When it sits on the teeth for too long, it can irritate the gums. You may notice your gums begin to turn more red and they may become inflamed. Over time, if good oral hygiene habits are not established, the gums will begin to recede from the teeth. This can eventually cause the teeth to begin falling out. About 64.7 million American adults suffer from some form of gum disease. That’s not even including the number for children! Even though tooth decay and gum disease are so wide-spread, they can both be prevented by brushing and flossing several times a day and by establishing and keeping good oral hygiene habits. Lingual Braces – These are also known as “Incognito” braces. They are a hidden braces apparatus on the tongue-side of your teeth. Worn on the inside, no one will even know you are wearing braces. Invisalign Transparent Aligners – This is a series of removable transparent aligners that are custom-made for your teeth. They can be removed for activities such as eating, drinking, sports and more. Because they are transparent, they are also a secret way for adults and teenagers to discreetly straighten their teeth. Clear Ceramic Braces – Made of ceramic material, these braces fit in with the color of your natural teeth. Ceramic material helps reduce the risk for demineralization and staining. Whether you are an adult or child, it’s never too late to improve your smile! For people of all ages, a straight smile boosts confidence and self esteem. For adults, that new smile of yours could help you land a job. Studies have also shown that straighter smiles make you appear more confident, successful, attractive and even more trustworthy to others. The benefits of braces are just too good to pass up! If you would like a new smile today, call our Belmar Orthodontics office at (303) 225-9016! Why is professional orthodontic care so important? The economy has fluctuated from good times to bad times over and over in the last couple of decades. Some people try to cut corners when it comes to achieving healthy smiles by straightening their teeth themselves. Do “cutting corners” and “healthy” go hand-in-hand? Not at all! Only a professional orthodontist is trained to provide you a completely healthy and straight smile that you can’t get anywhere else. Proper orthodontic care can ensure that your teeth stay healthy and free from gum disease, tooth decay and tooth loss. It will also ensure that your teeth move appropriately so that your bite, alignment and function work the way they were designed to. At Belmar Orthodontics, we can provide you a smile that you will cherish the rest of your life. Find out why professional orthodontic care is worth the time, money and effort to achieve a wonderful smile. We all know that problems will arise if proper oral hygiene habits aren’t followed. That includes brushing and flossing several times a day (after every meal if possible), seeing your dentist and orthodontist as needed, and making sure the teeth stay clean, straight and healthy in general. You would never want to save some time by cutting out brushing your teeth altogether right? How about flossing? Or maybe never seeing a dentist? There are major problems that can arise from choosing to cut corners on your oral health. Some of the main problems are gum disease and tooth decay that can literally rot your teeth out. Gum disease affects over 64.7 MILLION American adults. That means that there are many millions of Americans not taking proper care of their teeth. What does gum disease cause? It begins with gingivitis, or a buildup of sticky bacteria-filled plaque that coats the teeth and irritates the gums. Without cleaning the teeth often enough, the gums will begin to become red, inflamed and even bleed frequently. Skipping on the hygiene will make gingivitis more severe until it becomes full-blown gum disease, also known as periodontitis. At this stage, the gums will recede and the teeth can literally fall out. Yikes! Nobody wants that right? Tooth decay is a problem that’s not far behind gum disease. It also has its beginnings when a person chooses to skip on their oral hygiene practices and keeps doing it. That sticky plaque that coats your enamel is a mix of bacteria and sugar that is actually an acidic substance. The acid will erode your hard tooth enamel and eventually seep into the soft center of your tooth where it will accelerate tooth decay. Gum disease and tooth decay are both serious conditions that you want to avoid at all costs. You only get one set of teeth, so the goal should always be to keep them healthy, right? Cutting corners (even simply skipping cleaning the teeth) causes major damage to your oral health. Do-it-yourself-orthodontics is a new trend that has popped up on the scene. ABC news reported on this trend and how damaging it can be to your oral health. Many people wanted to cut corners with proper orthodontic care and do their own straightening at home using crude methods with rubber bands, fishing line, paper clips and any other material you could think of. Not surprisingly, many patients (especially adolescents) who attempted to do their own orthodontic care damaged their teeth “so extensive[ly] that teeth cannot be saved.” That comes straight from the president of the American Association of Orthodontists. Do-it-yourself methods of orthodontics are bound to lead to many more oral health problems than you could have ever imagined. So far, it has proved to be disastrous for those who attempt to cut corners. Remember, cutting corners on your health is just that…cutting corners. Nobody comes out a winner. When you only have one set of pearly whites, why take a chance on losing them? Orthodontists must extensively train for years and attend dental school. They then take an additional 2-3 EXTRA years to study orthodontic practices and how to keep your mouth the healthiest it can be. You get what you pay for and if that’s trying to straighten your own teeth with fishing line, you can bet that you’ll have a low-quality results. With professional orthodontic care, you’re going to get a professional and effective experience. Plus, you’ll actually save yourself time, money and risk of disaster by investing in orthodontic care the proper way. The cool thing about our orthodontic office is that we offer more than just traditional metal braces. If you want to straighten your teeth more discreetly (or not have anyone know), we have Invisalign transparent aligners, lingual braces, ceramic clear braces, retainers and more. At Belmar Orthodontics, you can be sure to get a beautiful, straight smile AND keep all of your teeth healthy and strong for years to come. Simply call our office at (303) 225-9016 for your free consultation!